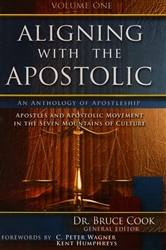 Book One of a five volume anthology of apostleship with 70 contributing authors. Dr. Bruce Cook is one of the most brilliant Kingdom-minded men I know. His insights into apostolic alignment are profound and yet foundational. He has truly received “insight from above” that he has so generously shared with us in this work. Thank you for this gift Dr. Bruce Cook! Aligning With the Apostolic is an anointed compass that will accurately guide the reader into the apostolic-kingdom movement of our day. Dr. Bruce Cook is to be commended for pioneering this masterpiece, five-volume series that will prepare the church to reclaim the earth for King Jesus. Dr. Cook sounds a clarion call that will spoil you for every day religion and cloak you with a mantle that will empower you to transform the spiritual landscape of your world. This anthology will take you beyond the syndrome of visitations of God so you can become His holy habitation in the present moving of the Spirit. Thank you, Dr. Bruce, for your gracious gift to this generation and generations to come! I highly recommend this life-changing series. Enjoy! Dr. Bruce Cook has done an outstanding job in bringing together notable Apostolic leaders to write related to their areas of expertise. 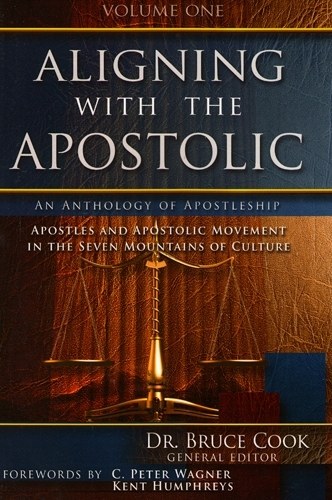 Christians from all stripes and denominations who are curious about the roots, beliefs, activity and trends of the global apostolic movement will benefit from reading this work. I highly recommend it!